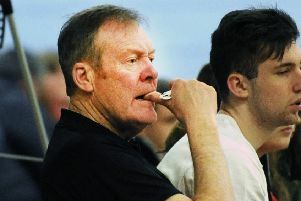 Fury basketball club have seven matches to encounter across various age-groups this weekend – starting with a rivals clash in the Senior Men’s division. 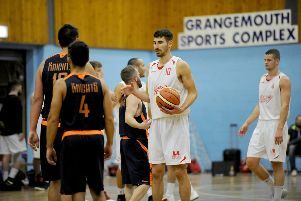 Sony Centre Fury travel to Portobello High School on Friday night for an 8pm tip against Edinburgh Kings – one of the two teams who join Fury joint-top of the Scottish Mens Division 1. Fury who have played a game more than Kings, sit at two wins and two losses with the home side sitting undefeated at 3-0. With Kings and Fury being the two dominant teams in the Scottish Division 1 Championship for the past 10 years, the clash is always a tense and exciting affair. Both teams have several changes in their line ups from last season and for Fury a defeat would almost end their hopes of a 5 th Scottish League Championship title in the past seven seasons. While the season is barely a quarter of the way through, three losses may just be too much for the Falkirk side to recover from. Saturday sees the Junior Men 1 team and the Cadette KFC side looking to maintain their 100 per cent starts as the U18 Men take on Glasgow Rocks and the U16 Women – Edinburgh Kool Kats – both will start strong favourites to maintain their winning starts. The Fury Senior women face a Kool Kats side who have started with two wins and a loss to Fury’s one win and two defeats. However no team in the top Womens Division 1 league sits undefeated, so it will be all to play for in the capital – the game tips at 3pm at Portobello and Fury will look to continue to load their team with some of their young and up and coming stars as well as a balance of their more experienced players. In Fury’s other games –the Junior Men 2 team face Edinburgh Kings with the Cadet Men 2 team facing the Glasgow Rocks – both these teams compete in Division 2 of the Scottish League.